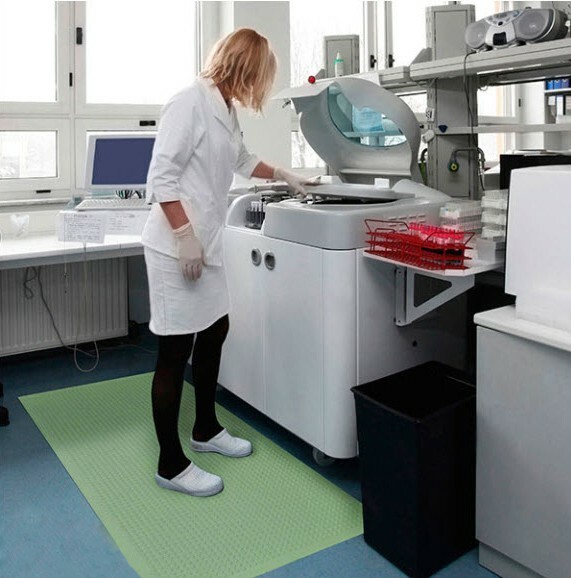 Comfort-Eze™ Antimicrobial is a rubber anti-fatigue floor mat with a bubble top design. 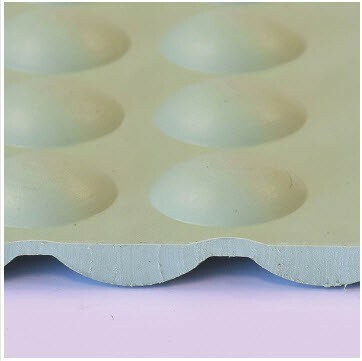 Offset bubbles on both the top and bottom of the mat provides flex and creates airflow resulting in maximum comfort for workers required to be on their feet for long periods of time. An industrial grade antimicrobial agent that inhibits the growth of most Gram positive and Gram negative bacteria and fungus is manufactured directly into the rubber compound. This ensures that the antimicrobial properties won’t wear-off over time like many post applied topical agents. Although intended for use in dry environments, the top surface design is easy to wipe clean and the durable rubber compound is highly resistant to many hospital grade cleaners and disinfectants so occasional spills can be cleaned up quickly and easily.